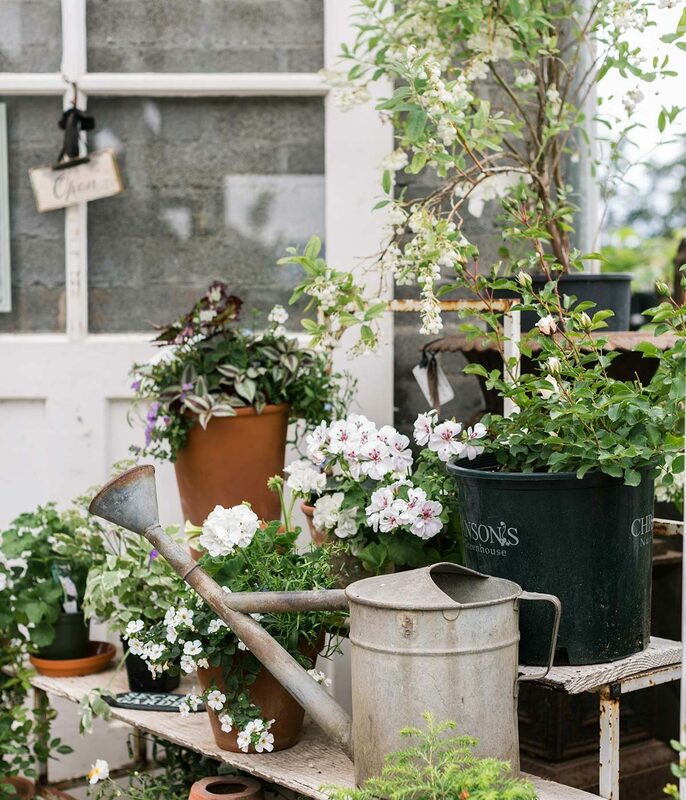 Located in beautiful Skagit Valley, Christianson’s Nursery offers a wide variety of common and uncommon plants, garden accessories, antique & gifts, and the largest selection of roses and perennials in Northwest Washington. 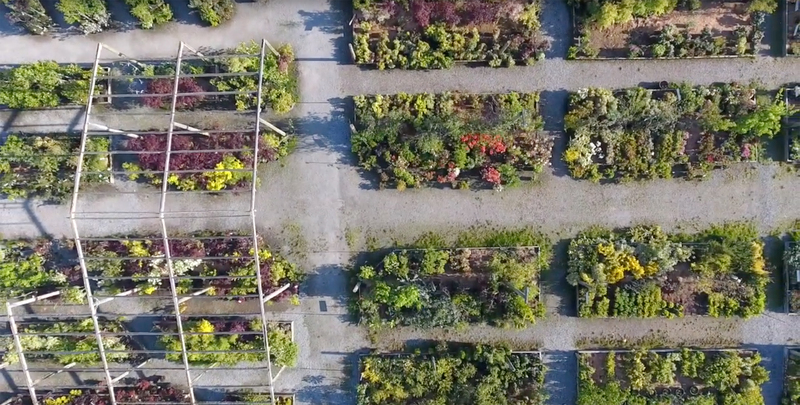 Whether you are looking for deer-resistant plants, guidance on gardening and plant care through the seasons in the Pacific Northwest, or just need horticultural therapy, you can depend on Christianson’s Nursery for choosing the right plants and expert advice. Many of our staff specialists are certified as Professional Horticulturists who can answer your questions about roses, perennials, rhododendrons, hardy tropicals, trees, shrubs, flowering bulbs, and edibles. Customers arrive with questions and leave with confidence and satisfaction about using plants for specific purposes in their garden to create all year-round interest. In 1990, John and Toni Christianson purchased the business and have been hands-on owners who curated it into an award-winning nursery using restructured old buildings and collected parts and pieces to form graceful glass greenhouses that serve as timeless reminders of a simpler life. The Main Greenhouse is primarily used to grow and sell new and unusual annuals plus the tried and true we have loved for years. We design and grow custom hanging baskets and containers in this house in spring and summer. In the off season it is filled with plants of fall and winter interest such as winter blooming camellias, herbs and tender outdoor plants. The Conservatory is home to our wide selection of indoor flowering and foliage plants. It is fitted with radiant heating and re-purposed slide doors from the sun porch at Dunn Gardens in Seattle. We also display our full range of terra cotta, ceramic and cast-iron planters in the Conservatory with the largest of the containers spilling out to the south side of the building. This Greenhouse was built in 1946 and because wood was so scarce after the war all the Greenhouse tables were made of homemade cement posts and cement slabs. In the 1970’s the roof was lowered to cut down on heating costs and the Greenhouse became a fiberglass house. In 2006 we took this greenhouse back to its original proportions using all vintage and salvaged materials including glass windows and salvaged greenhouse doors, shelving and a pantry cupboard from an old farmhouse in Mount Vernon. This house was originally used to propagate rhododendrons from cuttings but is now used to grow geraniums in the early spring and summer. Fall and winter it is filled with tropical plants including many varieties of citrus with Meyer’s lemon trees being the most popular. The Greenhouse Potting Shed is made of preserved greenhouse glass and doors. With built in tractor loaded soil bins, the Potting Shed is an efficient potting area where we can pot roses and bare root trees and shrubs any time of year. We also plant our custom hanging baskets and containers here during late winter and early spring. Our beautiful gift shop, Primrose Antiques & Gifts, is housed in a restored tractor garage that was built in the 1940’s and still has the original cement floor and most of the original windows and doors. Use the trowel handle to slide the barn door open at the entry to step into a world where vintage meets new and your senses blur the lines of history. Originally built in 1888 on the Lee Farm, next to the Skagit River, this Schoolhouse was called the Meadow School, District Number 3. It is the oldest remaining one room schoolhouse in Northwest Washington and remains largely unchanged. Today, it is where we host some of the most beautiful and intimate weddings and special occasion events in Skagit Valley along with gardening classes and seasonal Nursery events. Enjoy the mature rose and verdant perennial Display Gardens planted in harmonious color groupings that we designed after the Schoolhouse was set into place. You are invited to pack a lunch and enjoy a picnic on the Schoolhouse grounds during warm weather. May through September are the best months to visit the Gardens. This building was constructed in 1985 and has been the hub and check out area of nursery for many years. In 2003 we preserved the circa 1890 seed shelves and counters from Tillinghast Seeds in La Conner. A piece of Skagit Valley’s history would have been lost forever had these interior structures gone to the dump when the Tillinghast site was developed into a series of retail spaces in La Conner. At the same time, we laid down an old fir floor and refitted the massive wooden sales counter from the original seed store to finish the renovation. Enjoy the mercantile setting and our antique collection of books and signs as our staff rings you up.